• Calligraphy: start of six week course in Roundhand, Wells Library, 10am-11.30am. Cost £29.50, booking essential. Beginners welcome. • Health Walk in and around Wells, meet Pickwicks Cafe 11am, with Ruth/John. 60-90 minutes. • Wells Board Game Group, Cheese Yard Cafe, West Horrington, fish and chip night, meet at 6pm, games start at 7pm. 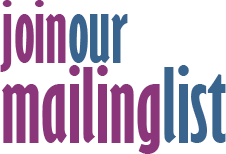 • Jean Sheldon will be holding some shared readings from her book Letters From Libya 1966-1969, made up of extracts from a young bride’s letters home from Tripoli to her parents, Wells Library, 11am to noon. • Coffee and cake morning, organised by Wells Labour Party, Lawrence Centre, Chamberlain Street, Wells. Drop in for a coffee, a cake and a chat, anytime in the morning between 10.30am and noon. Everyone welcome. 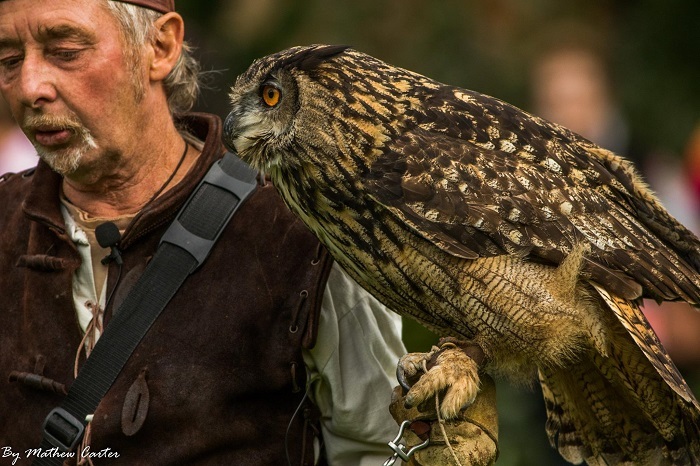 • Medieval Falconry Day, The Bishop’s Palace, 10am-4pm. Flying displays twice a day and chance in between to handle the falcons and owls. Event included in standard admission. • Coffee Morning in aid of church funds, Wells Methodist Church, Southover, 10am-noon. • Croscombe Harvest Market, Croscombe Village Hall, 10am-2pm. Local produce, artisan bakes, honey, vintage lighting, tombola, refreshments, light lunches. Free entry and all welcome. Enquiries: marylucia.cadogan@gmail.com or 01749 572875. Stalls available. • Music from Harry and the Gondolas, The Venue, South Street, early evening. • Macmillan Quiz at The Britannia Inn, Bath Road, 7.30pm. Teams of four, £3 per team. To book, phone Terry Ricketts on 01749 672342. • Wells Floral Art Club presents Let’s Go to the Movies-Take 2, a demonstration by Marie Munday, St Thomas’ Church Hall, Wells, 2.15pm. All are welcome. • Wells Writers Group, The Globe Inn, Priest Row, 7pm. • Wells Railway Fraternity talk by Les Nixon, Fires Dropped – the End of Steam on BR, Wells Town Hall, 7.30pm. • From the Top Orchestra and Cantabile Ladies’ Choir bring Music from The Wars to St Cuthbert’s Church, Wells, at 7.30pm. With soloist Iain Macleod-Jones. Tickets £10 to include a programme and flag to wave. Available from the church, Cadeaux & Co, Jane Savery 01749 670527 or on the door. • St Margaret’s Hospice Care Coffee Morning, Seager Hall, Wells, 10am-noon. All the usuals plus a bit more. • Oxfam Ceilidh, Coxley Memorial Hall, 7.30pm-10.30pm. Music by Rough Round the Edges. Bar. Tickets £6 which includes a light supper, available from the Oxfam Shop, Wells, or by ringing Trevor on 01749 689199. • Day of brass band music on Wells bandstand, or in the Bishop’s Barn if wet, 10am-5pm. Free. • Ploughman’s lunch, Seager Hall, Wells, noon-1pm. Proceeds for Christian Aid. • Cheese Tasting and Cheese Sale in aid of St Thomas’ Church Development Fund, under the guidance of Chris Stilton, St Thomas’ Church Hall, 7.30pm. Admission £10. • Vintage Somerset Fair, Wells Town Hall. Vintage clothes, textiles, vinyl, gifts, accessories, jewellery, toys, books, collectables, kitchenalia, plus artisans selling their retro/vintage vibe wares. Entry £1, 50p for students, under 16s free. • Harvest Festival conducted by Rev Tina Swire , Wells Methodist Church, Southover, 10.30am. Followed by refreshments. • Action On Hearing Loss hearing assessments, Wells Library, 9.30am-noon. Free, very quick, no appointment needed, no obligation. • 1950s’ Retro Night at Wells RFC in aid of Macmillan Cancer Supprt, 7pm-11pm. Live music from Rip It Up. Tickets £12.50, to include American diner food, from Bishop Jones, 55a High Street, Wells. Tel: 01749 678307. • Tristan & Iseult – a Tale to Break Your Heart, with storyteller Beth Webb and musician Mary Bateman, Undercroft, The Bishop’s Palace, 6.30pm-8.30pm. Canapés and wine, included in the ticket price, will be served during the interval. Tickets £15.50, available at The Bishop’s Palace shop and via the website. • Concert in St Paul’s Church, Easton, with local professional soprano Sarah Minns, and a new young talent, Flo Lunnon. Performance starts at 7.30pm. Tickets £10 each including a glass of wine available from Jane 01749 870543 or Pam 01749 679538.